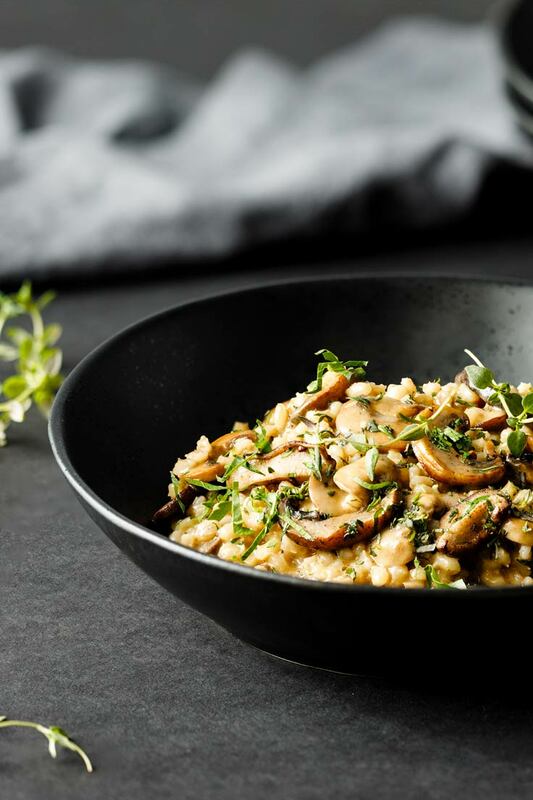 Barley is an incredibly versatile grain. It readily absorbs delicious flavors without combating them in any way. It is heart healthy, full of fiber, reduces cholesterol, and has a great texture. Barley is hearty (like your favorite comfort food) but won’t make you feel uncomfortably stuffed or heavy after your satisfying meal. It is also a forgiving grain; by that we mean that it is pretty much impossible to overcook. The grain will expand as it continues to cook, sure, but it never seems to lose texture or turn to mush like other grains. We're taking advantage of that by prepping the barley ahead of time (#mealprep) so this cozy dinner is only minutes away! Makes 3-4 servings. 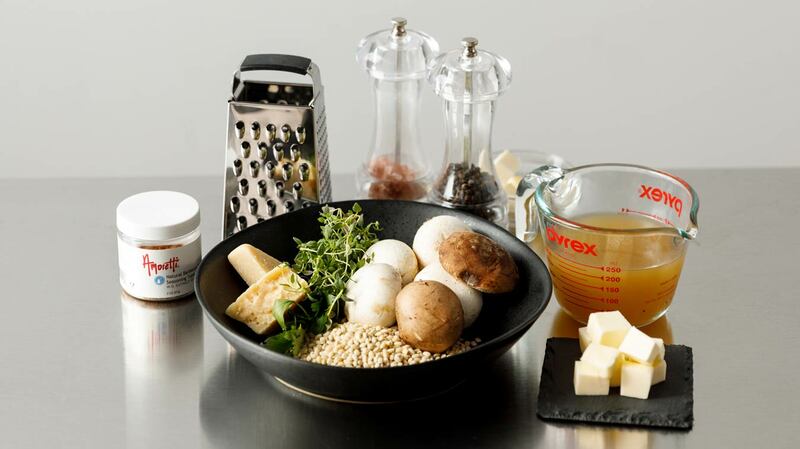 Everything we need for our Barley Risotto! 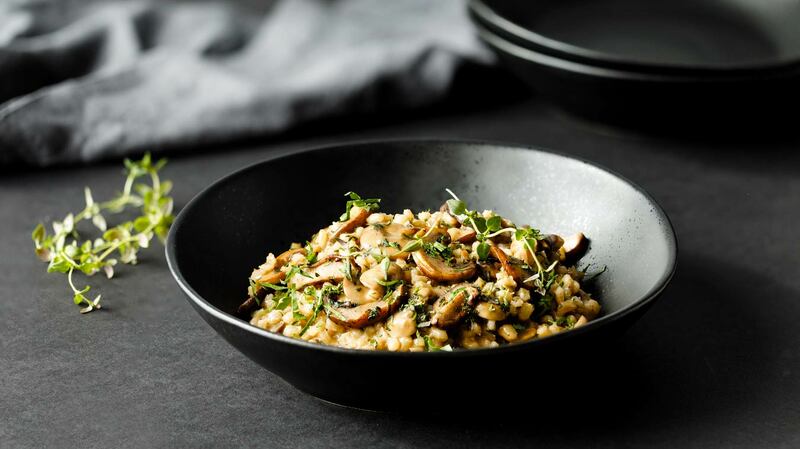 Barley and mushrooms, our main players, along with parmesan, fresh herbs, stock, butter, and our Natural Barbecue Mesquite Type Seasoning Extract Powder. Let's get started! We'll work on our mushrooms while the barley simmers away. Melt the butter and oil together, it looks like a lot but these guys are thirsty! Plus, fat = flavor. Mushrooms! All lovely clean, sliced, and ready to sauté. 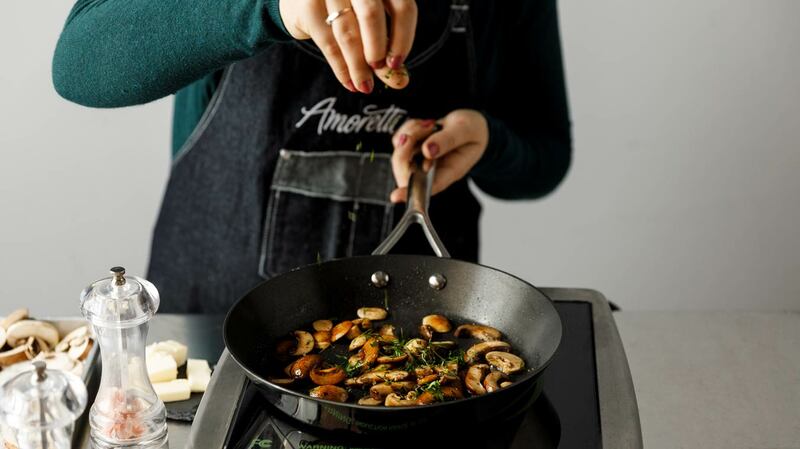 Place a single layer of mushrooms in your hot, buttery pan. Depending on your pan size, you may have to cook them in batches to avoid overcrowding, we did. Fresh herbs for fresh flavor! Add a sprinkle of salt and pepper here too. Time for risotto! We'll begin by re-heating our pre-cooked barley with stock and then stir in some butter. Secret ingredient alert! 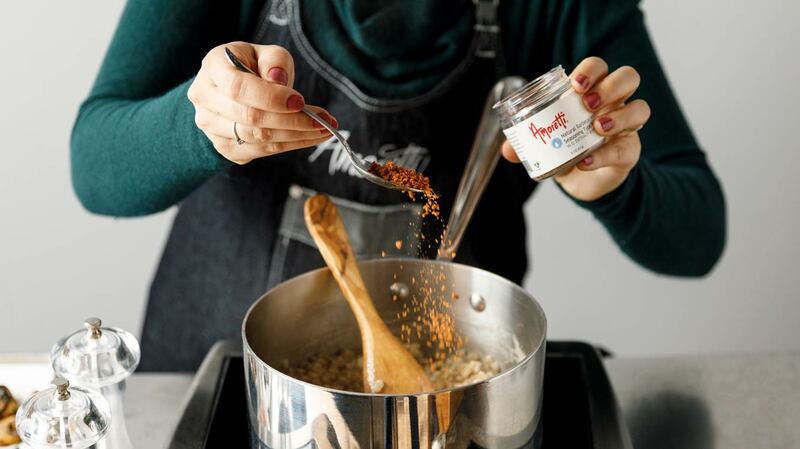 Our Natural Barbecue Mesquite Type Seasoning Extract Powder adds a wonderful smoky and savory flavor, perfect with the mushrooms and thyme we'll add later. Speaking of, it's time to add those mushrooms. Almost there! Stir in parmesan cheese and we are ready to eat. optional flavor enhancers: bay leaf, thyme sprigs, garlic, etc. Place cooked barley in a sauce pot over medium heat. Pour half of the stock over the barley and stir continuously. 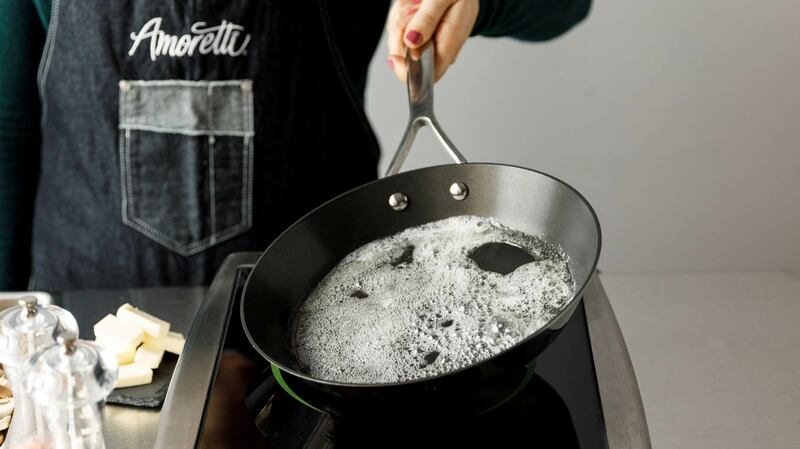 Once the liquid is ¾ absorbed, stir in the butter one tablespoon at a time and stir until completely melted. 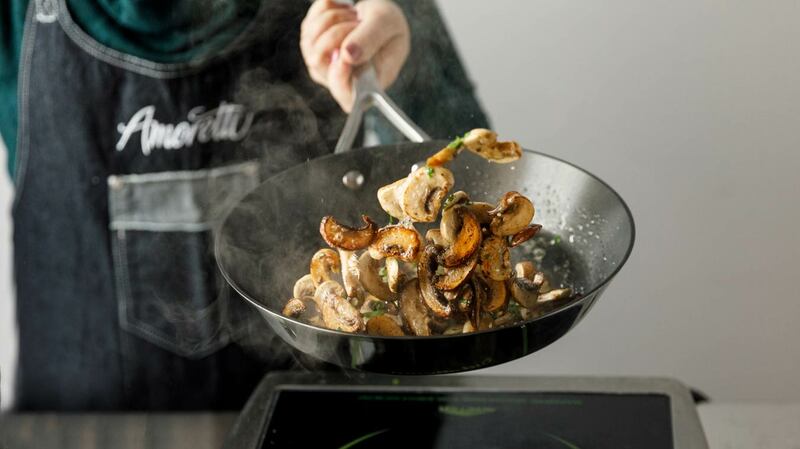 Stir in the mushrooms and Natural Barbecue Mesquite Type Seasoning Extract Powder. Add some of the remaining stock to the pot if needed to keep the consistency thick but loose. Add cheese at the very end, adjusting the consistency with the remaining stock. 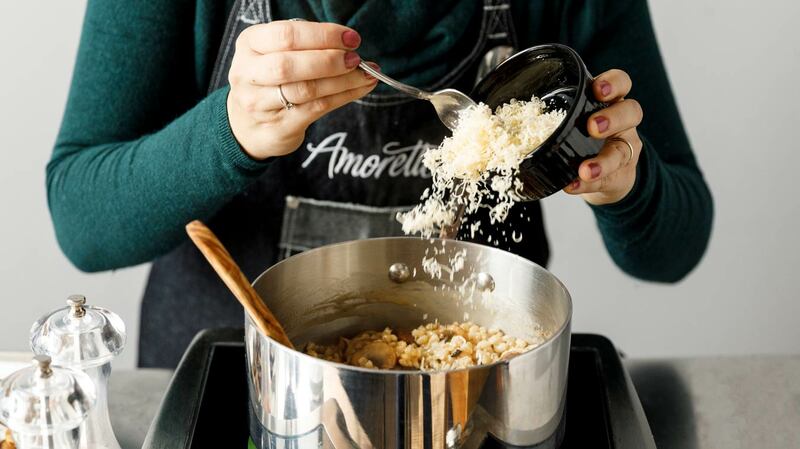 Risotto should be creamy and settle into the bowl upon serving. Place rinsed barley in a large pot, keep in mind that it will expand three-fold so give it plenty of room to grow! 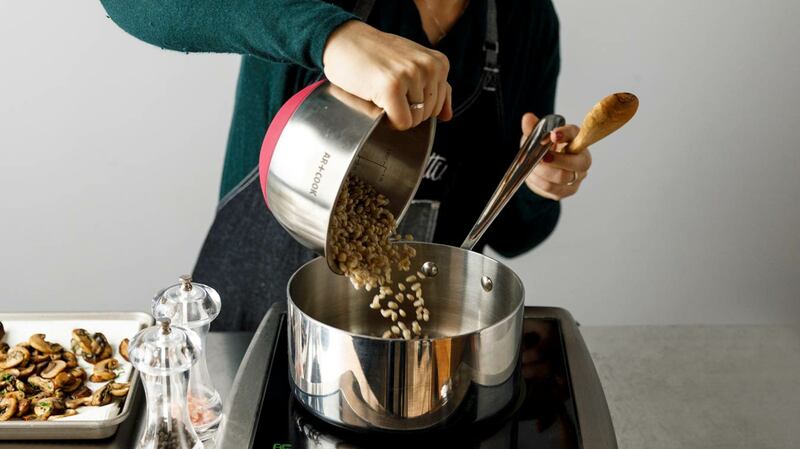 Pour in chicken broth, vegetable broth, or water; it should cover the grains by a couple inches. Give it even more flavor by adding a bay leaf, some fresh thyme sprigs, garlic cloves, etc. (any ingredients that will complement the final dish). If using water, add a hefty pinch of salt to the pot. Bring to a boil over high heat, stir and reduce heat to medium-low. Simmer until cooked, about 20-25 minutes, adding additional liquid if it seems to be drying out. Drain barley, saving the liquid for the risotto. If making ahead, spread barley out on a sheet pan or shallow container and cool in the refrigerator. 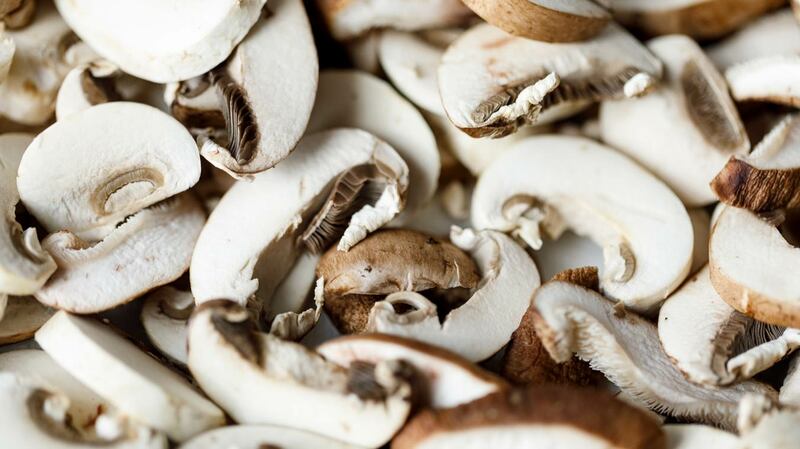 Wipe the mushrooms clean and slice them into ¼-½" thick slices. 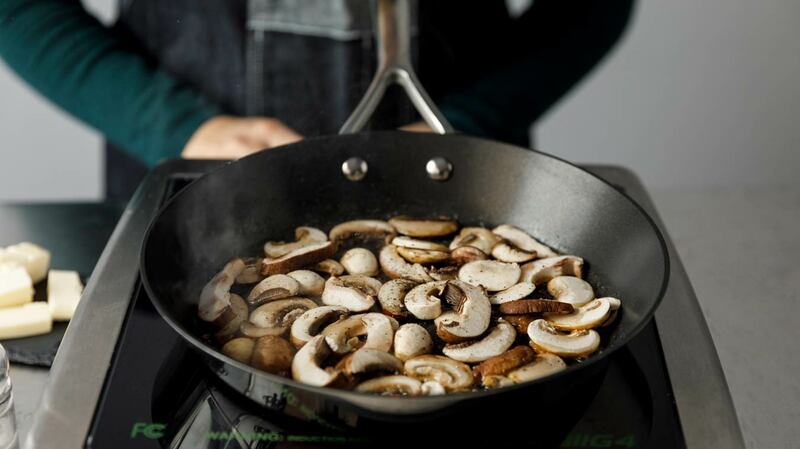 Drop enough mushrooms into the pan to have an even layer on the pan. Let them cook, undisturbed for about 30 seconds. This gives them a chance to caramelize properly, which will enhance the flavor so much. 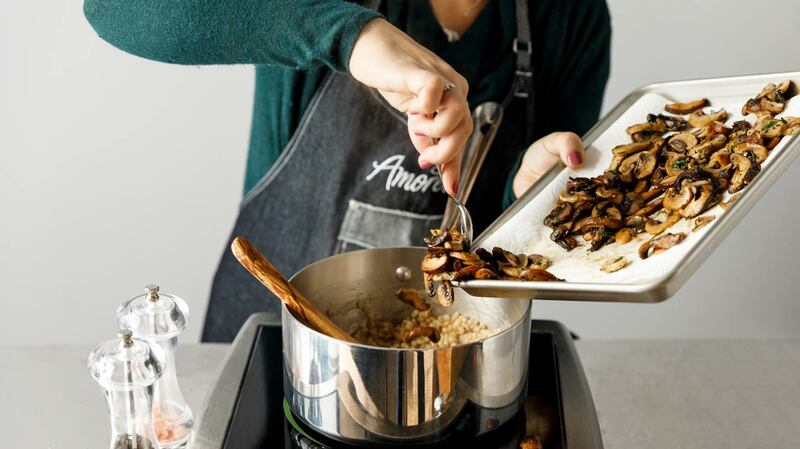 Give the mushrooms a very quick stir to turn them over. Season with salt and pepper, toss once more. Place them on top of paper towels to absorb the excess oil and moisture. Sprinkle with parsley and thyme, if desired. 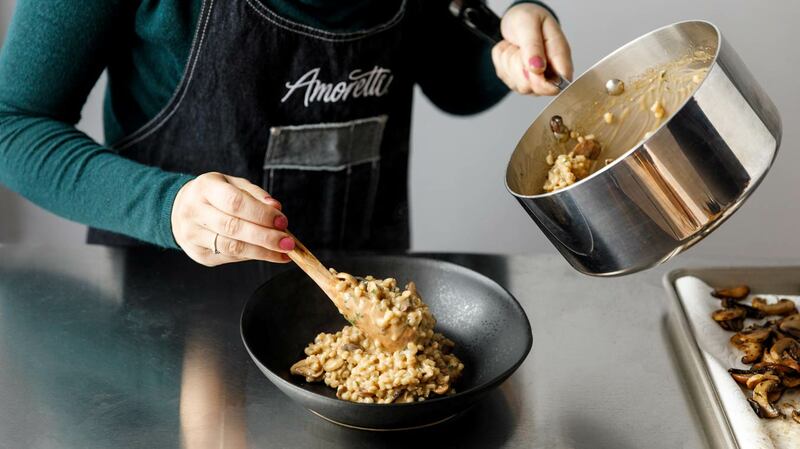 Cooked barley can be refrigerated for 3-4 days or frozen for up to 2 months. 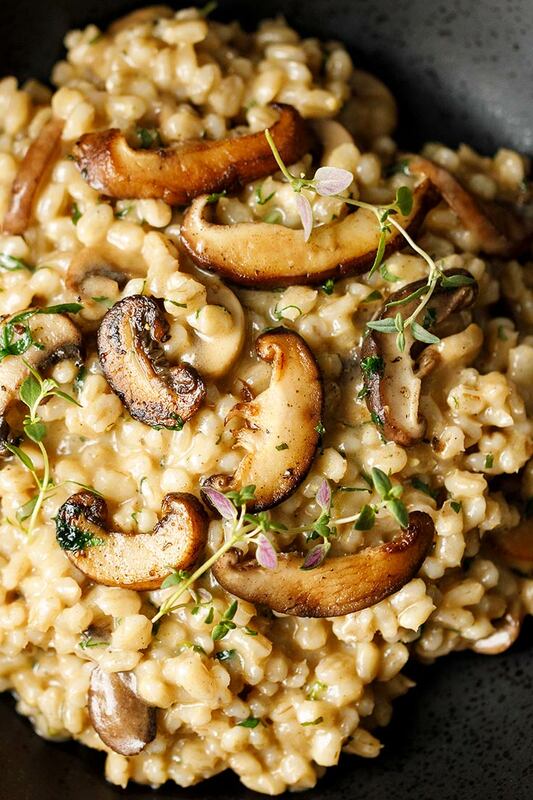 This recipe makes just enough cooked barley for our risotto. If you'd like to make more barley to have on hand, the ratio is 1 part barley to 3 parts water or stock.